In the event that during the installation or configuration of CWM-100 you encounter problems, here are some possible solutions. 1. Verify which version of CWM-100 is installed on the server, the latest available version is 1.02 r0068. 3. Install the new version of CWM-100 and the correct module, depending on the Access Point you are using. In the event of an incorrect installation or an SQL error, please refer to section 11 in the below FAQs. • Ensure the computer running the installation tool and APs are at the same network. The installation tool is Windows based utility that use layer 2 broadcast to scan for APs. It cannot discover APs remotely across a layer3 network. 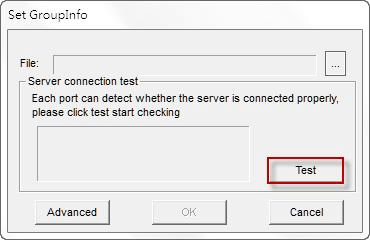 • If you are running two network adapters, stop one adapter and try to scan for APs again. 2. I can’t access the CWM Management Console. • Click the Central WiFiManager icon to run CWM in local mode. If CWM opens and you can access CWM on your local server but still can’t access it remotely then please login to CWM on local server, navigate to the System>General page, and check whether the access address of CWM is correct. The access address is for administrator to access CWM interface remotely. If there is firewall between your remote notebook and CWM server, please add a policy to allow the appropriate incoming TCP (https 443) and UDP ports to be open to traffic. 3. I still can’t see my APs on CWM even though the network profile has been imported. • Please check that you have a supported firmware version on the AP. 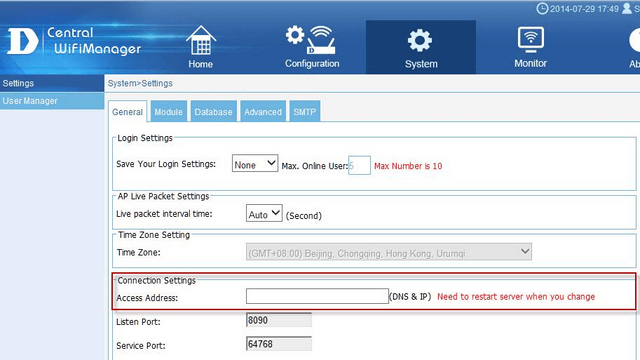 • Check if the IP address, network mask, gateway IP address and DNS settings of the AP are correct. AP need to be connected to the internet in order for them to be seen by the CWM management console. • If you are using any firewalls or business routers between your AP and the internet, check if your firewall is not blocking CWMs outgoing ports. • D-Link APs supports NAT pass through when being controlled by CWM, check if the correct ports are open by using the installation tool to check. Run installation tool, discover and select your AP, then click “Set GroupInfo, choice a profile and click Test button to verify whether all ports are opened. 4. What is the default user credentials for CWM? • CWM uses a Postgres SQL Database so admin need to setup a password to access the DB. If the warning message pop up it means that this Windows installation previously had a Postgres SQL. You need to reset the password. To do this, on the Windows server please go to Computer Management -> Local Users and Group -> Users -> postgres to set a new password. 6. Login fails when using Passcode. • Login into CWM and verify that the passcode being entered is still available in the Passcode List. • Check the status of the CaptivalPortal service on your windows server. 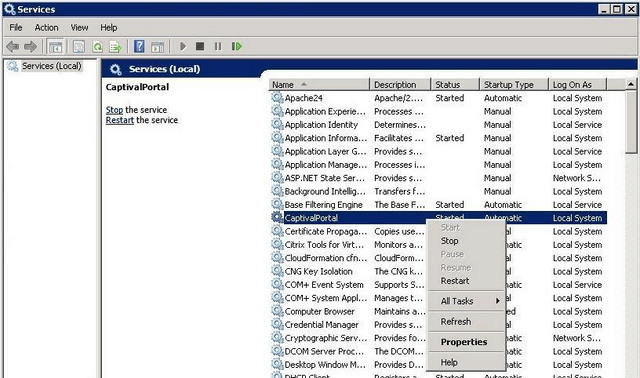 Go to Administrative Tool -> Services check/restart CaptivalPortal service. 7. What happens if CWM crashes? Will all APs stop working? 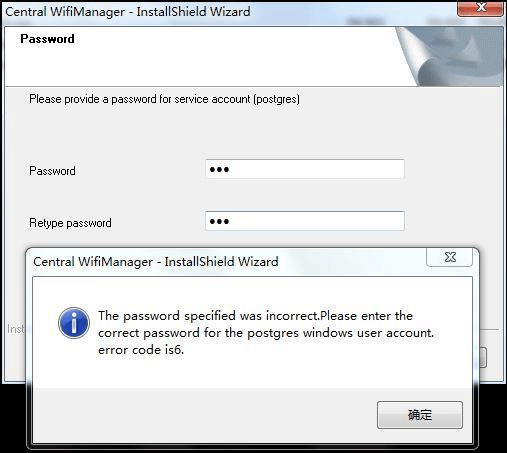 • Since the pass code is generated by the CWM server, if the connection between AP and CWM server is broken, the authentication will also fail until preventing guest users from login. Once the connect is restored everything will work as normal. • Since the wireless configuration file is still saved in the AP, all other function will continue to work as configured. • In the CWM Management console, the APs will be flagged as being offline, until a connection is restored. APs still can work normally. 8. What ports need to be opened to allow CWM to manage my APs? 9. What happens if my CWM server crashes? 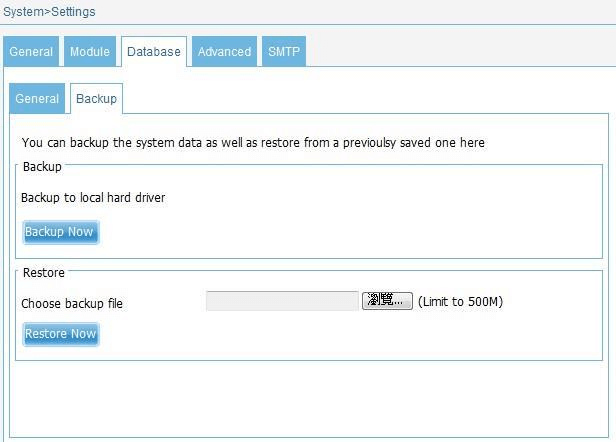 • To recover your CWM server, simply reinstall on a new server Restore the backup database. All configuration and data will be restored automatically. 10. I would like to customise the Captive Portal, what size image do I need? Is the server running on host "localhost" (127.0.0.1) and accepting TCP/IP connection on port 5432?